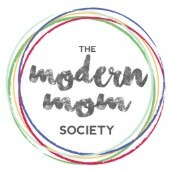 My goal with “Real Moms” is to bring you the unedited version of motherhood, so we can all connect with each other on a real level and commiserate and celebrate this incredible journey and support each other along the way. I am actively recruiting moms to interview for the podcast. If you are an open and honest mom willing to share your story and tell us what about what your life looks like behind closed doors, please fill out the form below and I’ll get back to as soon as I can! You can read more about my mission here. What was life like before kids? Tell me your journey of becoming a mother. Did you try for a while? Become a mother by surprise? Any subsequent pregnancies (after your first) noteworthy? How did your marriage change as a result of having kids? Are you happy with being a working mom/stay at home mom? What surprised you the most about motherhood? Is motherhood what you expected? What keeps you up at night? What worries you the most? How have you changed as a result of having kids? What tips, tools, and tricks do you use that you’d love to tell other moms about? What else do you feel like you’d like other moms to know about your story? What are some things that your parents did that you definitely wanted to/didn’t want to do when you became a mom? What advice would you give an expectant mother about motherhood? What do your kids do that makes you nuts? What makes you feel inadequate? What do you wish you did a better job of? What things did you let go of when you became a mom? Hobbies? Interests? What is your dirty secret about motherhood? Willing to share more details about your story and your answers to any of the above questions? I’d love to hear from you! Please fill out the form below and I’ll get back to you as soon as I can!